Back to Supplier directory home. 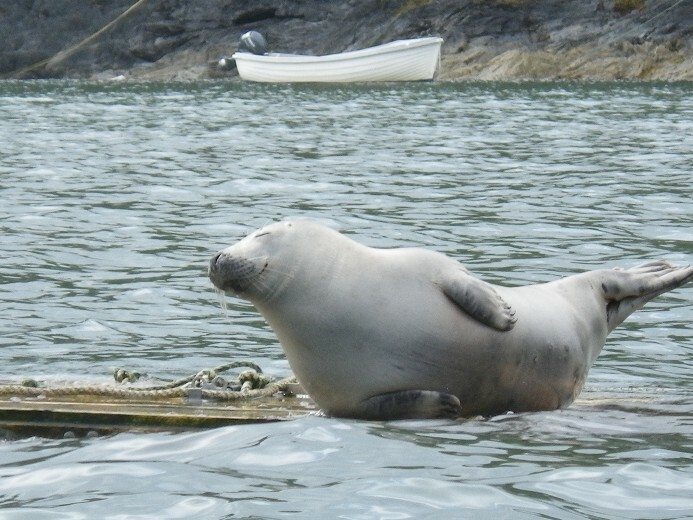 Adventure activities and 5 star eco lodge accommodation on the spectacular Pembrokeshire coast. Adventures include sea kayaking, coasteering, surfing and coastal walking open to individuals, groups and families. Lodge accommodates up to 40 people with restaurant and bar facilities. Open all year. From Cardigan Bay to the Preseli Hills, lose yourself in some of the most breathtaking scenery on earth. At Preseli Venture we want your clients to explore their wild side with our unique selection of activities. From a half day coasteering through to a week long adventure holiday – pick and mix from our super tasty activity menu. 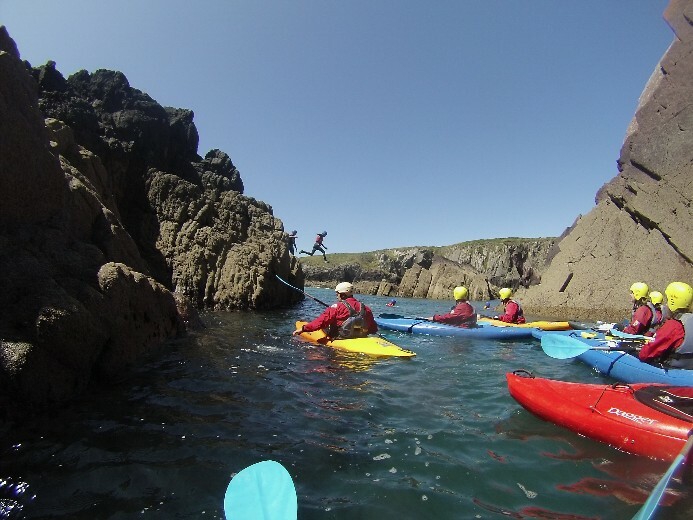 We’ve been offering coasteering sessions on the North Pembrokeshire coastline for over 25 years, and we know that once your clients have tried coasteering with Preseli Venture they’ll be hooked on this exciting adventure! Coasteering is a unique adventure activity just perfect for getting your clients out exploring the fantastic Pembrokeshire coastline, where they experience the exhilaration of sea level traversing, rock climbing, cliff jumping and swimming, and get up close to some wonderful Pembrokeshire wildlife. We welcome everyone young and old, fit and non-fit, swimmers and non-swimmers, with the minimum age of 8 years. 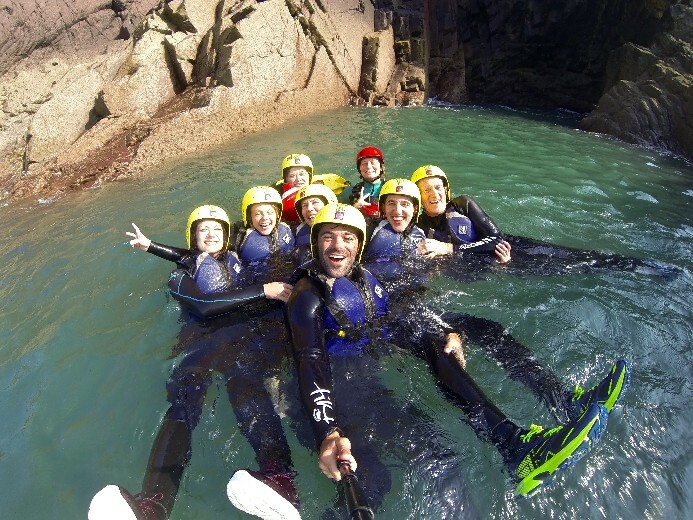 Coasteering adventures are typically of a half-day duration and we choose the BEST location from our range of nearby inspirational venues on the National Trust Pembrokeshire coastline. That way we can be sure we take into account the variations of wind and tides and the aspirations of the group to give them the best possible coasteering experience. All specialist kit is provided including winter wetsuits, wet-suit socks and even gloves in the chillier months, so your clients will stay nice and warm. 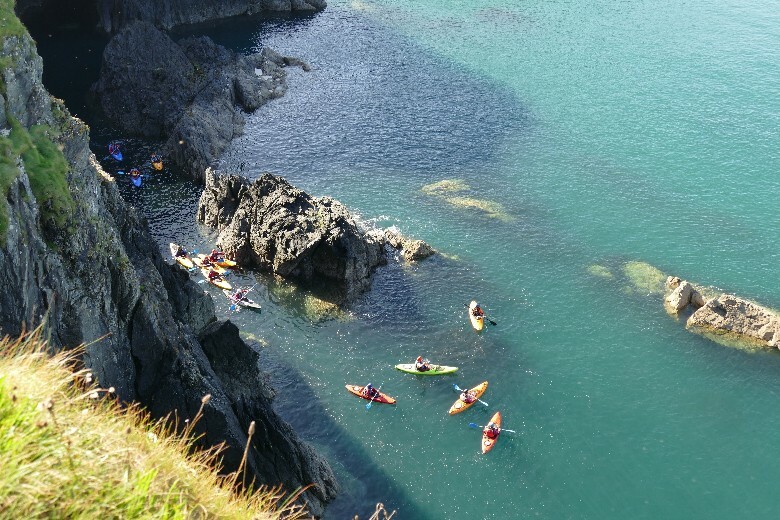 By combining more than 20 years experience with the beautiful Pembrokeshire coastal waters, we can offer a sea kayaking experience for all. Beginners and those seeking a relaxing paddle can explore picturesque quiet harbours, sheltered bays, secluded beaches and dramatic high cliffs. Intermediate paddlers can take longer journeys along the coast, sampling the delights of moving water and surf. Advanced paddlers can seek the amazing tidal rapids, creaming surf and booming swells to push the envelope. The off-shore islands beckon; Ramsey, Skomer, South Bishop are all island realms ripe for exploration. 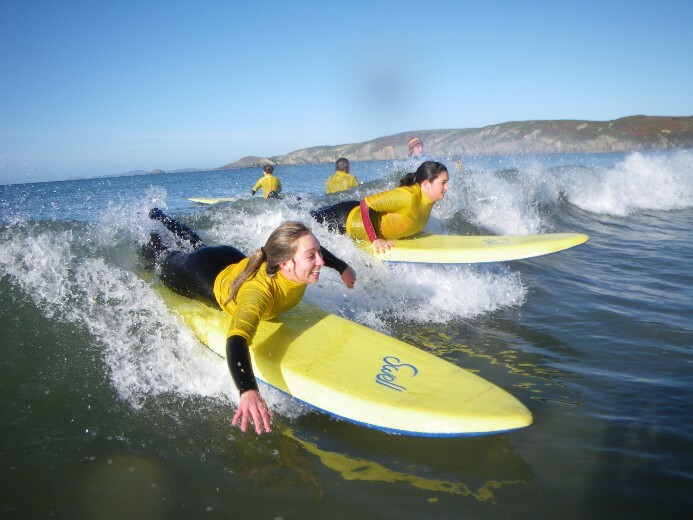 The wild and beautiful beaches of the Pembrokeshire coast are the ideal location for learning to surf in Wales. With more ‘Blue Flag’ beaches than anywhere else in the UK, Pembrokeshire is the perfect spot for your clients to learn how to surf. Our coastline incorporates surf beaches which face North, South and West, which means that if there’s a wave we’ll get it. The eco lodge accommodation is located in a beautiful wooded valley just 15 mins walk from the famous Pembrokeshire coastal trail. We organise guided and self-guided walks and hikes along the best parts of this awe-inspiring coastline, perfect for spotting seals, sea birds and springtime wild flowers. Other activities we can organise include horse riding, boat trips walking and sightseeing excursions. Please get in touch for more information. Should you wish your clients to stay with us we have a 5 star graded Eco Lodge with 11 cosy bedrooms that can accommodate up to 40 people, with singles, doubles, twins and large family rooms so that everyone gets their own comfortable sanctuary. There is a large bar and dining area where your clients can chill out in front of the wood burner before heading out to the terrace to watch the sunset over a blazing bonfire. All meals are home cooked by our resident chef. Delicious and wholesome ingredients are sourced locally as far as possible, and we happily cater for special diets.